the burning sand shall become a pool, and the thirsty ground springs of water. The passage from the prophet Isaiah speaks of a day when God will redeem God’s people from exile and bring them home again to Mt. Zion. Notice that not only will the people rejoice and be glad but the land will rejoice as well! 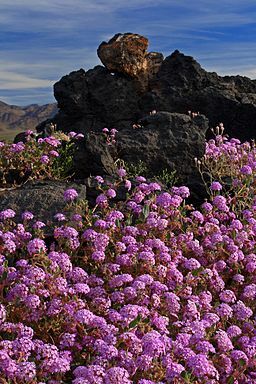 Dry land and wilderness will show signs of gladness, singing and blossoming. Flowers will grow and refreshing waters will break forth in dry places, and there will be streams of water in places that were once severely dry and barren. In July of 2015, I had the awesome opportunity to see a portion of the wilderness land of Alaska and to see the mighty glaciers of Tracy Arm a fjord near Juneau. As the cruise ship inched its way into the fjord, I looked up into the mountains and to my surprise I saw streams of flowing water gushing from the mountain! 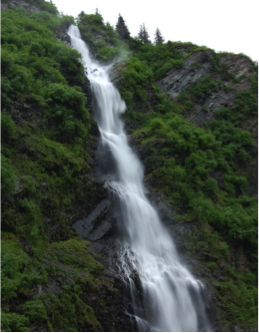 Never did I expect to see water flowing so beautifully, peacefully, and freely in the Alaskan wilderness. During this season of Advent, let us seek to allow the life-giving water of God to flow freely in our lives and let us in turn care for earthly waters so that they too, may continue to flow freely. Prayer: God of Ever Flowing Streams, Flow into our dry places and refresh us as we begin this season of advent. May we be reminded of your great love and care for all humankind and may we go and do likewise as we love and care for all the waters that cover the earth. Amen. The Rev. Dr. Betty Tom is the pastor with the First Presbyterian Church, Mt. Vernon, NY. She has served with the Presbyterian Hunger Program Advisory Committee for the past three years. “The dry land shall be glad, the desert shall rejoice and blossom..."
Peace, Grace and Hope to you all as we prepare for the beautiful and deeply sacred season of Advent. At this time, late in 2016 particularly, we deeply need those three gifts. I am SO grateful that PEC can share with you all an opportunity to truly BREATHE in that Peace, Grace and Hope...yet, at the same time, balance it with the actuality which is upon us...that our world has been thrust into a very challenging spiral...of mistrust of neighbor (far and wide) and heaviness of heart in grieving for our sisters and brothers who are in the midst of war or war-like situations...in many countries, including our own... We have also found ourselves in a time, for many, of a tragic apathy toward our Common Home. Thus we invite you to share with us our Advent Reflection for 2016, based on Isaiah 35:1-10, which begins, “…the dry land shall be glad, the desert shall rejoice and blossom…”Our theme... "Awaiting Renewal." I give thanks for our brothers and sisters who have accepted the request to share their reflections with us from New York through the Midwest to Seattle; from Africa to Alaska. We have asked our authors to share their thoughts and feelings about the connection between God's gift of Christ and God's gift of Creation...about the biblical Hope of moving from the dry land to the blossoming desert. Many thanks to Laurie Fisher, Heartland Presbytery, who has helped coordinate this “gift” and to Jane Laping, who has assembled it, and to all of you reading and sharing our Advent reflection. All of you, as the body of Christ...Hope of the world. Amen. The election is over, leadership has changed, and your support of PEC is more important than ever. As we face increased challenges in upholding God’s creation, PEC is renewing its commitment to hold our local, state and national leaders accountable. We invite you to join us as we move forward with enhanced energy and prayerfulness, keeping the faith and holding forth our vision to care for and heal Earth. PEC members and leaders are standing with the Standing Rock Sioux to protest the construction of the Dakota Access Pipeline. We advocated for fossil fuel divestment and five other earth-protecting overtures at the 2016 General Assembly. 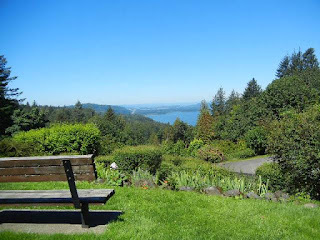 The Eco-stewards Program brought young adults to Seattle in June to contemplate the intersection of environmental issues and the Christian faith. 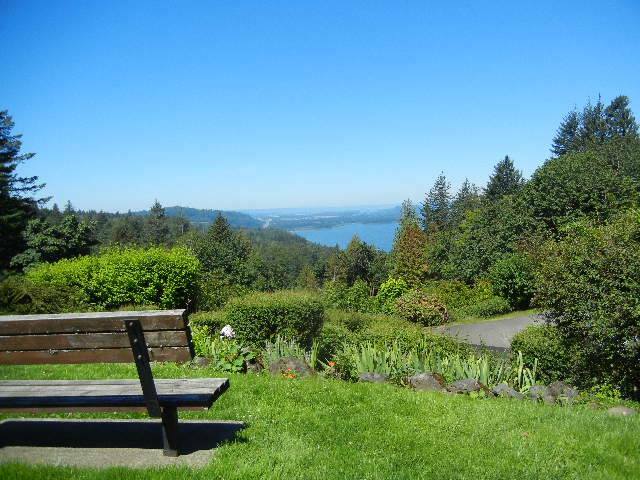 For 2017, we are currently planning our national biennial conference, September 26 – 29, at Menucha Conference Center overlooking the Columbia River Gorge, near Portland Oregon. We will be listening to indigenous voices from the Columbia Watershed as we focus on eco-justice issues related to water and climate change. New Testament scholar Dr. Barbara Rossing will be the keynote speaker. A pre-conference Environmental Justice Immersion will offer a unique experience of learning from indigenous tribes most affected by environmental injustice, September 25– 26. 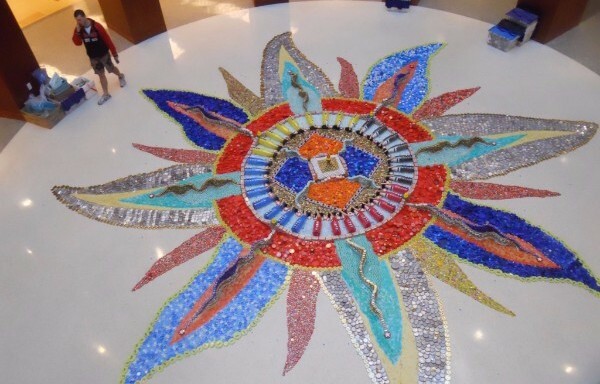 EARTH (Earth Advocacy, Reflection, Theology and Hope), our monthly e-newsletter, has a new EARTH-Keeper feature that highlights an individual or group excelling at caring for our common home. 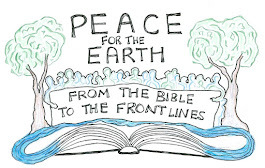 Our Advent and Lenten devotionals focus on a blend of eco-advocacy and spirituality and our 2016 Advent Devotional will arrive in your inbox soon. See how your donation can support PEC by taking a look at our new website www.presbyearthcare.org where you can friend our Facebook Page, follow us on Twitter and visit our Blog. Please support the eco-justice work of PEC in 2017 with a generous year-end online contribution so that we can continue to build a sacred trust for the future. P.S. You might also consider a gift contribution for Christmas or another special event. Have you ever thought about how what you consume affects your relationship with God? 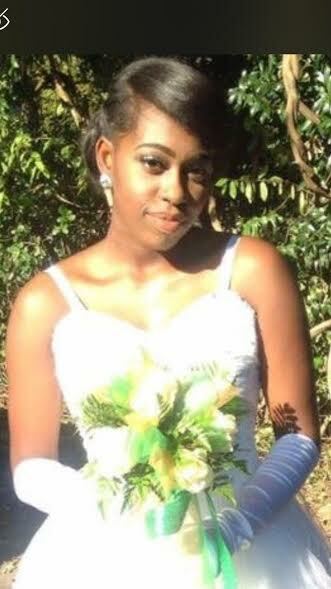 Kennedy Blackwell-Lewis, a high school senior in Dublin, Georgia has. Most people, Christians included, struggle daily with the desire to fulfill their worldly wants. They go to church on Sunday, they go to bible study on Wednesday, and they say their prayers at night, but what about the other hours left in their weeks? The definition of consumption is the act of consuming, as by use, decay, or destruction. Instead of fulfilling our simple bodily needs, we often over consume, eating more food, using more materials, or taking more aid than necessary. In doing this, we attempt to fill some type of void, but what is that void? We go to church, lifting our voices to sing, telling Him that He is all we need and desire, but in reality, we fail to act in this way. What void are we trying to fill? What do we find in food or drinks that could possibly be better than the many blessings God can bestow upon us? The most simplistic answer to this question would be convenience. By nature, humans desire matters of the flesh because they can easily be executed. We can call on God all the time, but waiting for an answer often repels people and pushes them toward what they can receive quickly and simply on earth. For example, we often run towards bottled water for the simple reason that it is convenient. 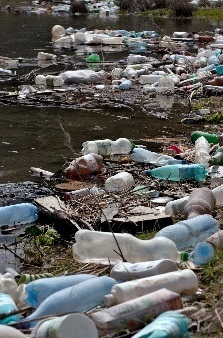 We don't have to obtain a cup, filter the water, and wash the cup later; however, constantly seeking convenience destroys the environment, creating more pollution, using up valuable resources. In the same manner, when we seek convenience in our spiritual life, we destroy our relationship with God. Every action possesses an equal and opposite reaction, and seeking convenience may benefit an individual immediately, but the long term effects prove to be unfavorable. Convenience is usually a positive, powerful word in our society. After all, there is never enough time for everything. How do you seek convenience in your everyday life? Do you see ways your personal searches for convenience negatively affect God’s creation? What about convenience when it comes to God? Do you take time for a relationship with God through prayer and study, worship and fellowship? Or do you look for convenient ways to fit God around the other parts of your life? Do you know the term “church-shopping?” Have you ever thought that we might make “God” and the church of Jesus Christ just more things to try to consume? God, who provides all we need and can fill every void in our hearts. Forgive us when we try to consume you instead of worship and trust you. Forgive us when we eat more food, use more materials and take more aid than is necessary, trying to fill a void that can only be filled with real love for you and from you. Let us not value convenience over the well-being of your people and your creation. And help us spend time with you, not seeking convenience, but seeking your will and a deeper relationship with your Son, Jesus, in whom we now pray. Amen. Kennedy Blackwell-Lewis is a senior at Dublin High School in Dublin, GA. Her aspirations are Child Psychology and Psychiatry. Just to mention some of Kennedy’s most recent accomplishments: She’s 1st in Her Class throughout High School Years, 1st Vice President Student Council, a Lauren’s Youth Leadership Graduate, and a Georgia Merit Scholar. Her mother, Cherise Blackwell, is a leader in Dublin R.I.S.I.N.G., a grant recipient for the M.K. Pentecost Ecology Fund, an environmental grant making program of Savannah Presbytery, for their work to restore an urban park in downtown Dublin. Reflection questions and prayer by the Rev. Mary Beene, a member of the EARTH team and pastor of Faith Presbyterian Church in Rincon, GA. She also coordinates the M.K. Pentecost Ecology Fund for Savannah Presbytery. The bell rings. It’s an old cowbell, but it does the trick: the campers come running into the dining hall for another meal together. That bell clanking means something warm and delicious is waiting inside for each camper group to share: macaroni and cheese; chicken with mashed potatoes and greens; stromboli brimming with sausage and veggies; … rice and beans? 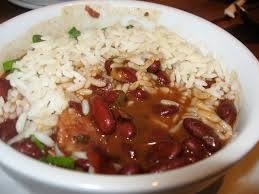 During the summer at Camp Hanover, we have rice and beans every Tuesday for lunch. We call it our Meal of Simplicity. Just rice and beans—no salad bar, no sides, not even our usual lemonade to drink, just water. Camp Hanover is the outdoor ministry of the Presbytery of the James in central Virginia, a place apart where hundreds of campers come to spend a week or two or more reveling in God’s creation and building relationships. We do everything we can to make campers feel welcome and comfortable, but we do not cheat on Tuesday afternoons. The Meal of Simplicity is an opportunity for this community to reflect on what it means to have enough. We learn about different places around the world where people may only have access to rice and beans, if even that much. Counselors help guide campers through hard conversations about why people are hungry all over, from the farthest reaches of the planet to our own back yard in Virginia. We talk about agriculture, climate change, and justice. The conversations tend to continue throughout the day following the major impact of such a simple meal. This is one small way we address our personal consumption habits in relation to the earth, not just the physical environment, but the people who dwell within it, too. These ideas permeate all that we do at camp as we live, play, learn, talk, and rest on retreat together. Colleen Earp serves Camp Hanover and the Presbytery of the James as the Director of Youth, Environment, and Service Ministries. 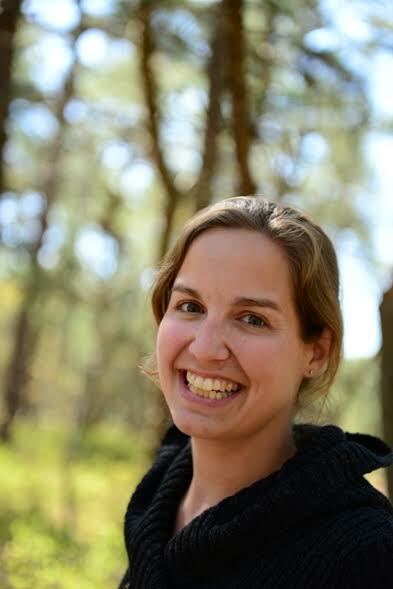 She is a YAV alum, a geographer, and an M.Div. student at Union Presbyterian Seminary. Be Wary of Bottled Water? Americans spend over $13 billion yearly on bottled water, yet it’s free from our taps. Some 40% of it is tap water. Plus the US EPA sets more stringent standards for tap water than the FDA does for bottled beverages. Why be wary of bottled water: Is it really safe? Is it being privatized, i.e. stolen for private profit? There have already been “water wars”: read the Cochabama Declaration (December 2000, Bolivia) declaring the people’s hard-won rights over sales of water by government to foreign companies. Big Water is trying, with Congress’s help, to force our national parks to keep selling bottled water despite the Park Service Director’s enacted policy to halt it. Overflowing garbage cans and growing recycling and landfill costs prompted him to ban bottled water sales as long as refilling stations and reusable bottles replaced the disposable plastic bottles. Why not, unless parks lack their own water? Buying your own reusable container and filling it at home is generally a good consumer’s choice. Although in emergency and special health circumstances bottled water may be the only safe water available. And we must be vigilant that our municipal water is safe to avoid more Flints. We cannot live without clean water. As consumers we have an obligation to care for this sacred gift. Nancy Corson Carter is a member of the EARTH Team. 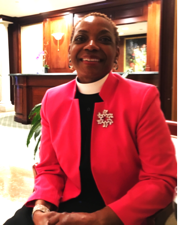 She lives in Chapel Hill, NC, where she facilitates an Earth Care Committee at the Church of Reconciliation (PCUSA). 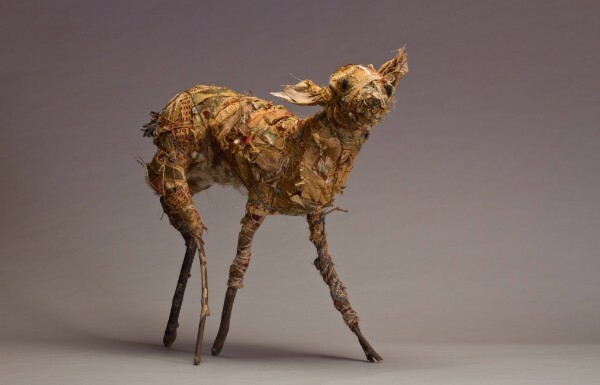 I was in my twenties when I began my professional career as a basketmaker, hunting and gathering for materials in my local natural environment. I learned what materials indigenous people used, found in their environment, to make baskets to hold and carry their goods. As I learned about my natural environment and what could be made out of it I began to notice what was in it now. Throwaway disposable stuff made to last forever. I see my journey to becoming the environmentalist I am today in retrospect. It is clear that for many years, I have been documenting the “stuff” of our society that we use once and throw away. In America we create more garbage per capita but are blind to our waste. I believe this is a function of our wealth, and the vastness of our country. We have the room to hide our waste, and the money to make more. As we rush around in our daily lives, stopping to think about the waste we are creating takes time we do not think we have. What we do to take care of our environment is up to each person personally. The only accountability comes from our curiosity and a willingness to pay attention. I have had the great pleasure to be a founding member of a group in Durham, NC called “Don’t Waste Durham” where I have been working with a group of like-minded citizens on issues of environmental responsibility especially around matters of consumer waste. I am thrilled to say that we have developed "the GreenToGoProgram" for citizens of Durham and participating restaurants! Wish us luck and join our kickstarter campaign if you can. 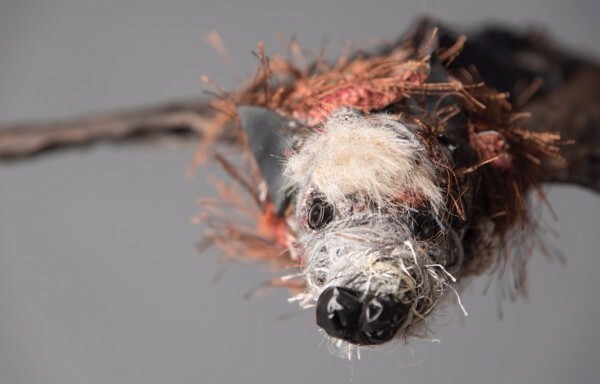 Bryant Holsenbeck is an environmental artist living in North Carolina, who makes large-scale installations that document the waste stream of our society. You can view more of her work at www.bryantholsenbeck.com. All art conceived and created by Bryant Holsenbeck. 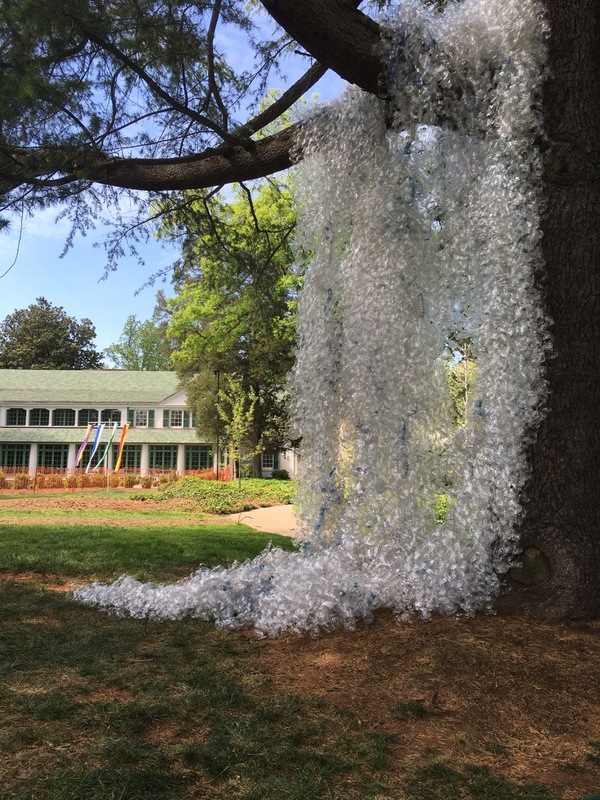 In article: Plastic bottle waterfall—community project, Reynolds House Winston-Salem, NC. 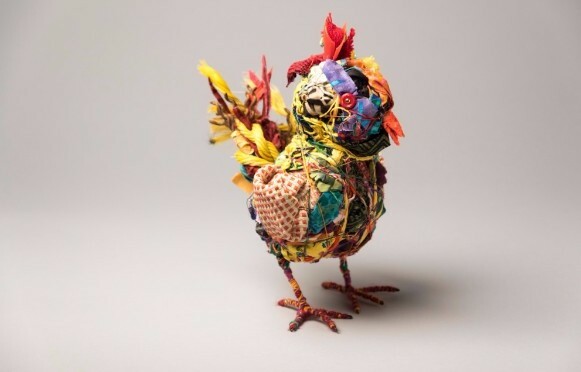 Above (clockwise from top left): Australian “chook” out of studio scraps; faun out of wire, plastic bags and found and recycled materials; bottle cap mandala out of over 50,000 caps and lids as a community installation at College of Charleston in Auddlestone Library; Australian fruit bat out of studio scraps. 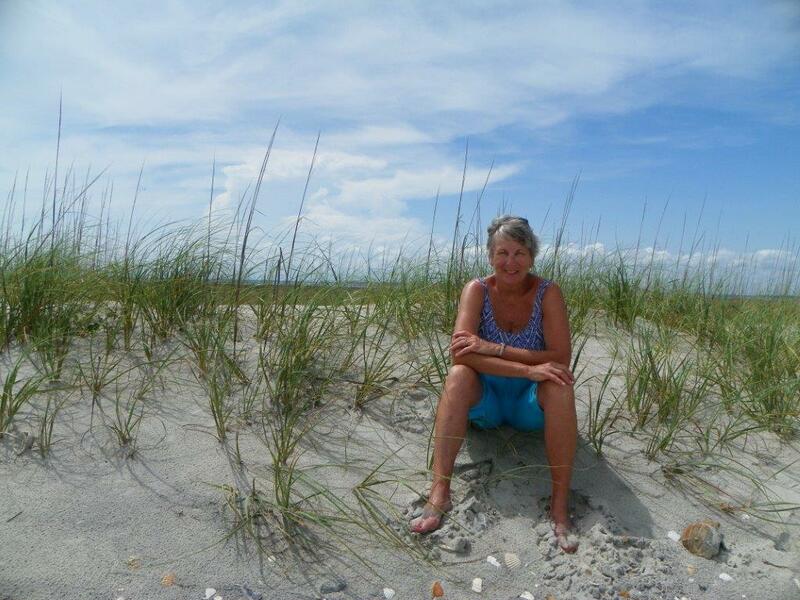 Penny Hooper is not one to sit idly by while oil rigs threaten to despoil her cherished home and source of livelihood on the coast of North Carolina. Even while recovering from hip surgery, she endured the pain and hobbled on one leg to testify against offshore oil drilling in the Mid-Atlantic. She and others in her area organized and convinced seven towns that would be affected by a spill to sign resolutions against drilling. With support from 130 other towns on the Eastern Seaboard and the North Carolina Council of Churches, the federal government removed the mid-Atlantic from the oil drilling leasing program for at least the next five years. 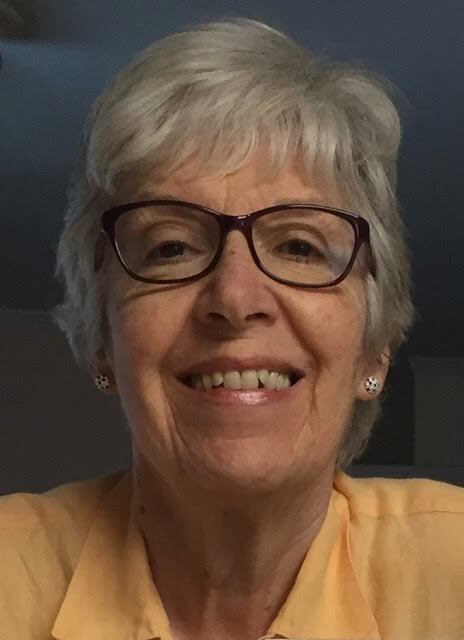 Penny first became involved in faith and environmental work in 1997, when the Reverend Bob Murphy at the Unitarian Universalist Church that she attends suggested their congregation could become a Green Sanctuary with her leadership. This gave her a community to work for and with and although she claims an independent spirit, she says that she works better with a faith community. 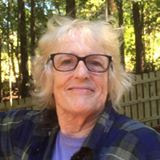 With such a supportive group Penny became an activist and transitioned to the Steering Committee of North Carolina Interfaith Power and Light (www.ncipl.org) in 2008. She now serves on the Executive Committee and as the Leadership Council Chair. 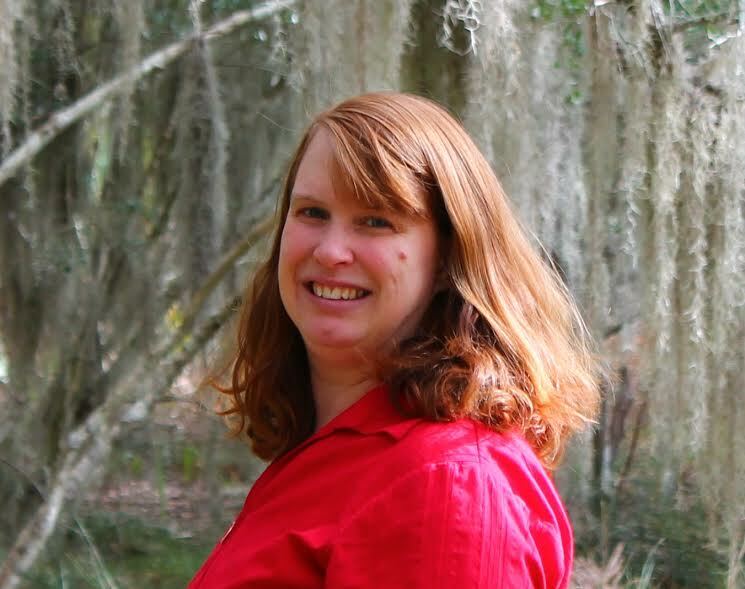 Penny is also the Sierra Club Conservation Chair of the Croatan Group and a Board Member of the Carteret County Local Food Network. 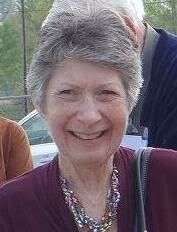 Jane Laping is the Coordinator for Presbyterians for Earth Care. She lives in Asheville, NC.